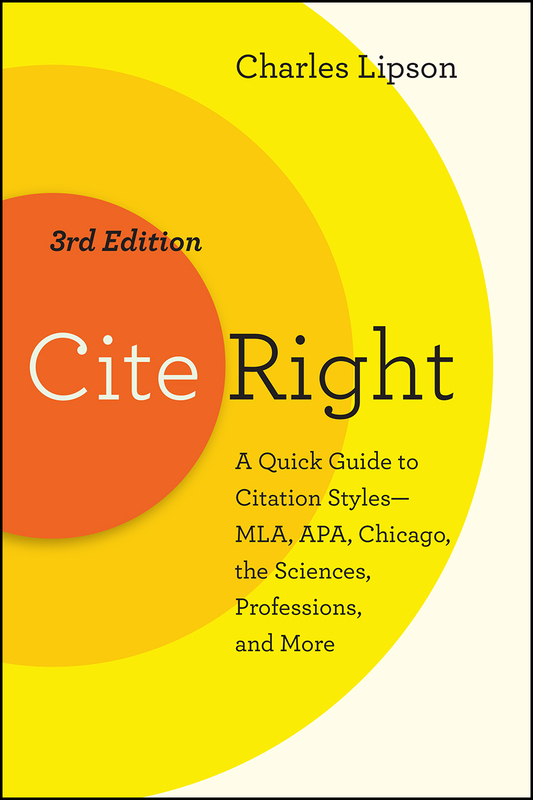 Cite Right is the perfect guide for anyone who needs to learn a new citation style or who needs an easy reference to Chicago, MLA, APA, AMA, and other styles. Each chapter serves as a quick guide that introduces the basics of a style, explains who might use it, and then presents an abundance of examples. This edition includes updates reflecting the most recent editions of The Chicago Manual of Style and the MLA Handbook. With this book, students and researchers can move smoothly among styles with the confidence they are getting it right.